A dealer since 2008, Gorman Enterprises has a longstanding relationship with Collins Bus and selling their vehicles. We also are highly experienced in the bus industry, as we were a dealer for Corbeil Bus since 1994, which was later purchased by Collins. Covering everything including and west of St. Lawrence, Lewis, Oneida, Madison, Chenengo, and Broome county, we are the premier dealer for Western New York Sales as well as an authorized service center. If you are in the market for school buses, Collins Bus is our exclusive school bus manufacturer. They also produce Multi-Function School Activity Buses as well as commercial buses. Gorman Enterprises can help customize any Collins Bus to our customer’s specific needs, so get in touch with us today and start the process! Interested in learning more about Collins Buses? Contact us to discuss your options. 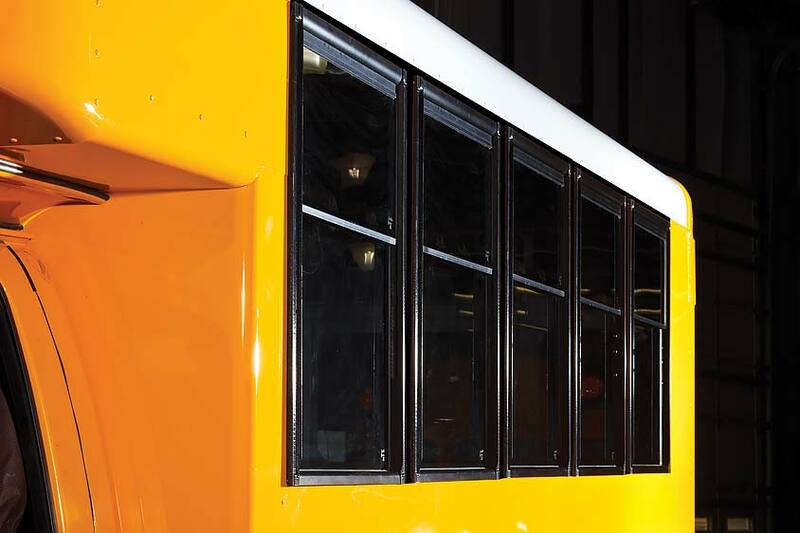 Collins developed the first Type A school bus in 1967 and for more than five decades they’ve been committed to innovating the future of school buses and ensuring the protection our most important passengers — mile after mile. Innovative engineering and platform flexibility fuel Collins’ process to build buses that meet every need and deliver industry-leading strength and safety. Collins designs and manufacturers school buses that are at the head of their class. With the all-new Collins Bus Low-Floor design, wheelchair users can explore the world, up-front and in-style. Thanks to half a century of relentless innovation in the school bus industry, parents and faculty everywhere will find designs that focus on equality, and students will experience a bus ride that delivers accessibility for all. With three flexible floor plans to choose from, and backed by industry-leading strength and safety, these Low-Floor buses will ensure students have access to an equal education before, during and after school. For schools, every day and every trip is different. Knowing flexibility is the rule of the road, Collins developed an innovative, non-CDL multi-function school activity bus (MFSAB) that meets every need. Customers can choose between a Ford or Chevy bus that provides trusted performance, and Collins proprietary one-piece tubular roof design ensures safety is standard with every bus we build. For more than five decades, Collins has built a trusted reputation as the leader in Type A school bus manufacturing. 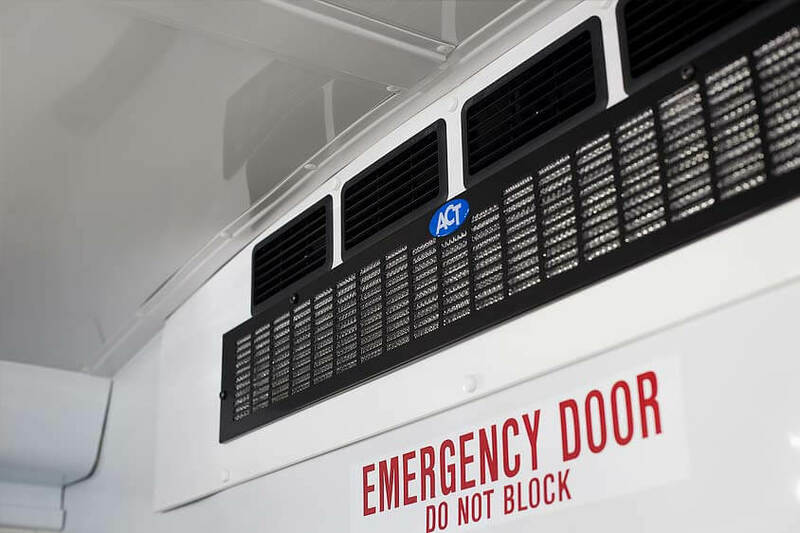 Now, with their commercial bus line, they are bringing Collins’ renowned safety and strength to the business market. Collins’ small buses are perfect for public transit, assisted living, higher education and airport/parking markets. With so many seating configurations, consider Collins the answer to your shuttle bus needs. 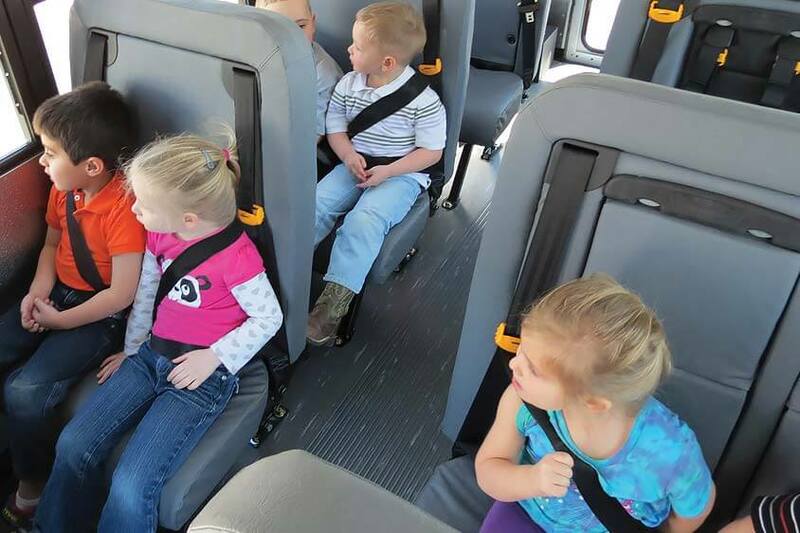 Collins has always received the highest marks in the school bus industry for strength and safety, so it’s no wonder childcare companies turn to Collins to design and build the most dependable daycare buses, too. 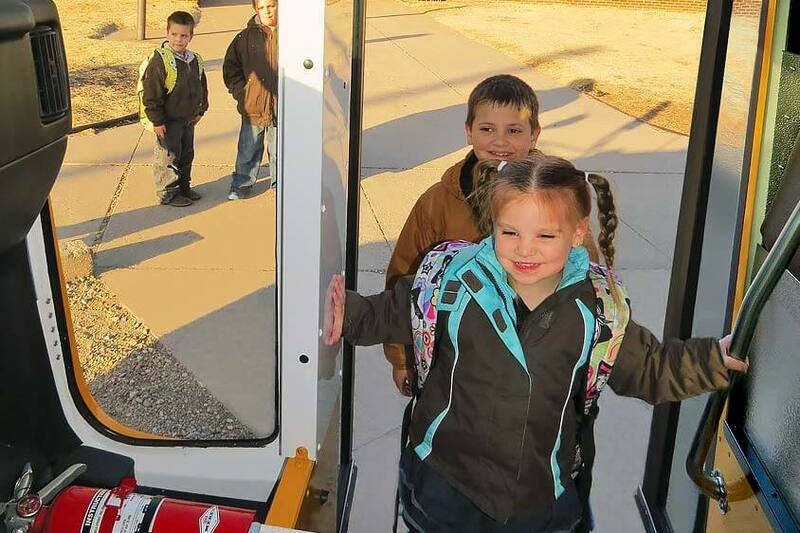 With little passengers in mind and your daycare business at the forefront, Collins delivers non-CDL daycare buses that expertly balance the safest and strongest design with our trusted performance. Because Collins knows that safety matters most. 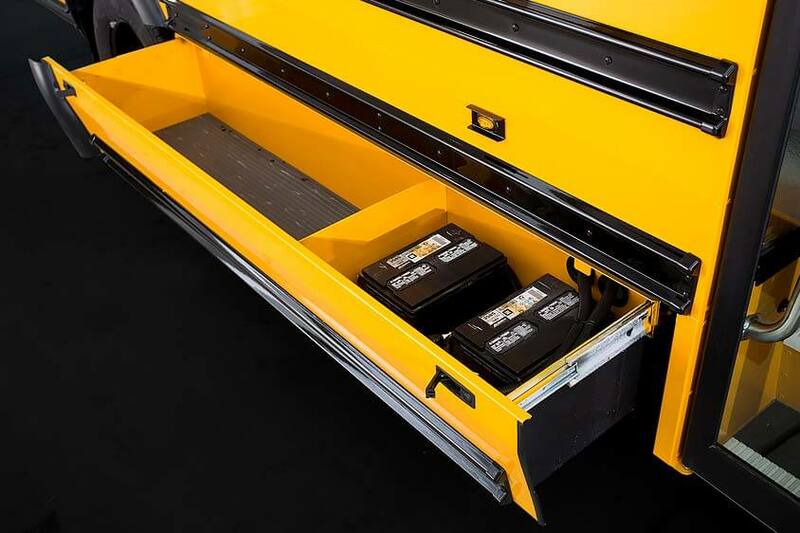 The Collins multi-purpose vehicle (MPV) offers the trusted safety features of their market-leading Type A school bus paired with the maneuverability of a passenger van. The MPV will be a customer’s MVP thanks to a powerful combination of strength and industry-exclusive features that offer convenience and forward-thinking design. No matter what trip lies ahead, the Collins MPV is innovation in motion. The Collins name has long been synonymous with the school bus industry. After half a century of delivering Type A school buses with A+ marks for strength and safety, it only makes sense that Collins has become the nation’s most trusted bus manufacturer across every segment. From Type A school buses to today’s Collins commercial bus, passengers and businesses can place their trust in Collins’ engineering and innovation as much as the company itself. Quality Engineering: At Collins, they know that building a better bus means engineering a stronger vehicle. The two go hand-in-hand without exception, and it wouldn’t be possible without Collins’ strict Lean manufacturing process. Together, all three deliver a kind of quality that has set Collins apart in the industry. Flexible Innovation: For more than half a century, innovation has driven Collins to the forefront of the bus industry. 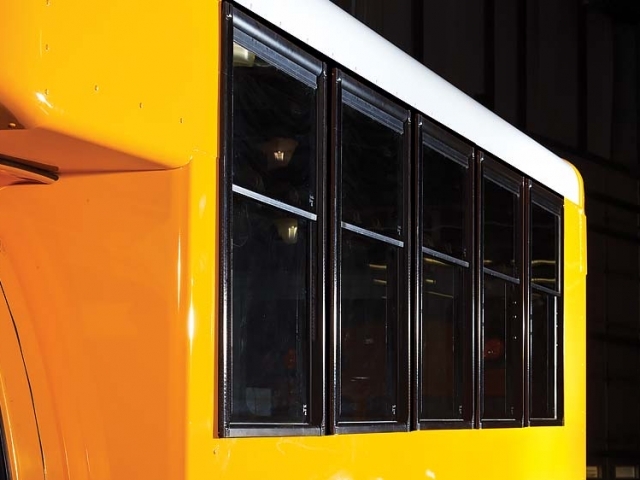 Their responsiveness to customer needs has not only made them the nation’s largest Type A school bus manufacturer, but it’s propelled Collins into other market segments. 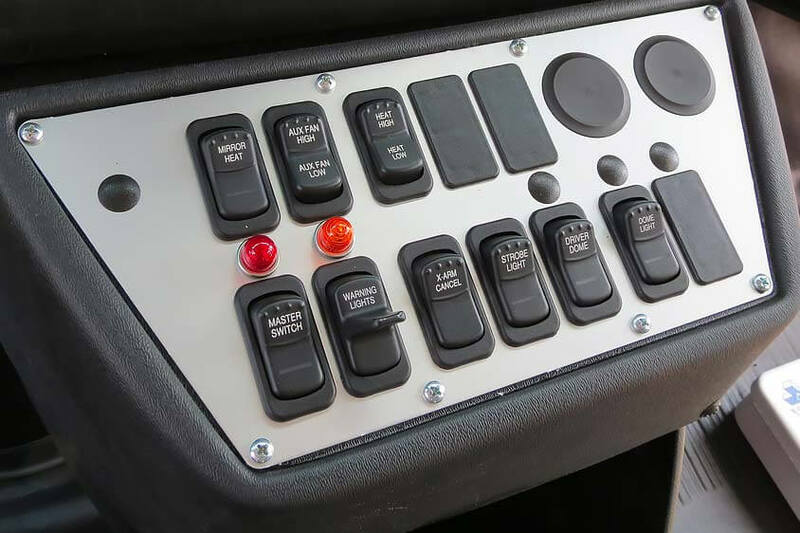 Collins can build on any chassis and customize any seating plan or fuel option. Trusted Support: Not only is Collins one of the most trusted names in bus manufacturing, but they’re also backed by REV Group, a $2+ billion world leader in vehicle manufacturing that shares a commitment to connect and protect customers with the vehicles they produce. Few bus companies have that kind of support. As part of REV, Collins customers have access to REV Financial Services™ and to an exclusive REV / Ryder Maintenance Program. With this kind of backing and Collins’ commitment to engineering and innovation, rest assured they will remain a bus brand you can trust for another 50 years.